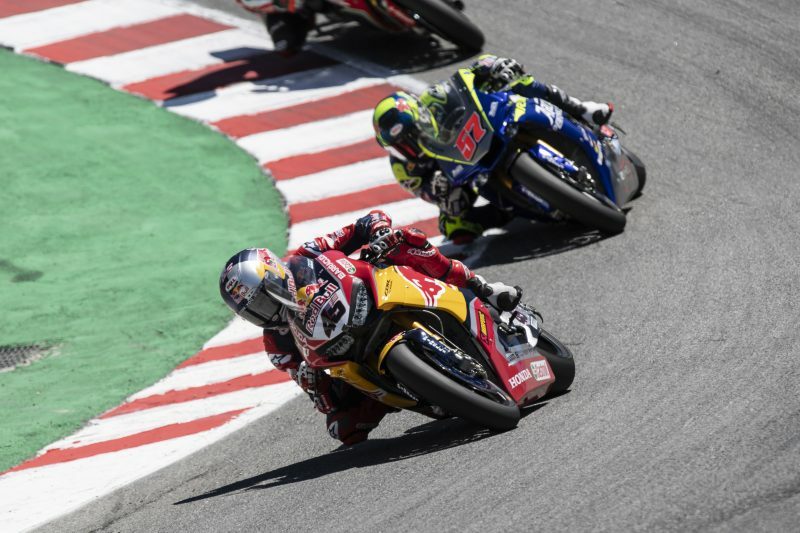 Red Bull Honda World Superbike Team rookie Jake Gagne stormed to his best ever finish in the WorldSBK championship, the American rider taking full advantage of his home circuit knowledge to claim tenth place in Race 1 at Laguna Seca. Lining up on the grid for Race 1 in P16, Gagne’s best ever race result was initiated by a strong surge in the opening stages of the race when he passed numerous riders on his Fireblade. Finding himself in tenth place by lap seven, Gagne came under pressure from other riders while nursing a slight issue on his bike, but managed to hold them off to secure a fine tenth place finish. 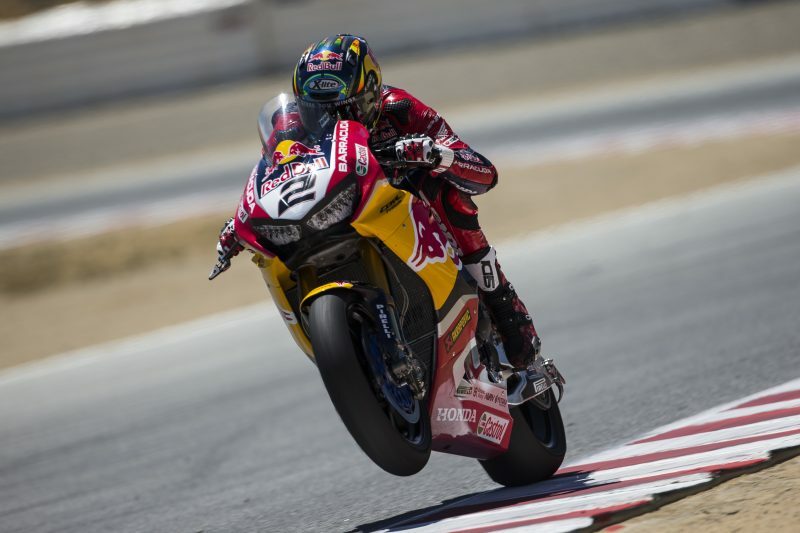 On the number 2 CBR1000RR, fortunes were less kind to Camier who started from P7 on the grid for Race 1. 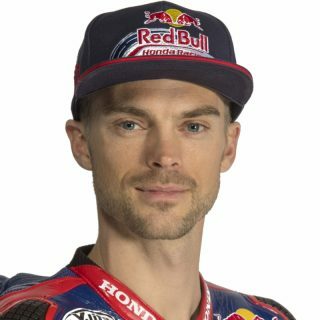 Camier started steadily but improved his pace as the race went on and while running in P9 and catching the rider ahead of him, his gearshift lever broke resulting in an early retirement for the British rider. The tenth place for Gagne means his point tally grows to 30 championship points and he remains in 17th overall in the standings. Camier is twelfth overall with 72 championship points. Race 2 will take place at 1400 local time (GMT -7) tomorrow with the next session of the weekend, the Sunday Warm Up session starting at 1030 local time. Today it was a difficult race, my pace in the early stages wasn’t what I was expecting but as the race progressed I managed to get quicker and had a better rhythm. 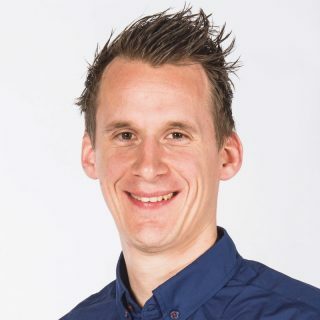 As soon as I felt good on the bike and started to gain on the riders in front of me, I had a problem with my gearshift lever which meant I couldn’t continue. Me and my team will look to see where can can adjust the bike ahead of tomorrow’s race so that I can be stronger in the first part of the race, if we can make that happen I’m sure Race 2 will be better. It was a pretty positive day, my first top ten in WorldSBK so I’m happy about that. My first couple of laps were good, it seems the warmer track temperature actually helped me compared to the other guys, so I could make quite a few good passes. Starting so far back on the grid meant I had a lot of work to do, but I could work my way up to tenth place and bring the bike home in that position after I had a little technical issue on the bike. We’ll try a couple of things in Warm Up tomorrow as I think we can improve things even further and I’m confident we can do another good job tomorrow. 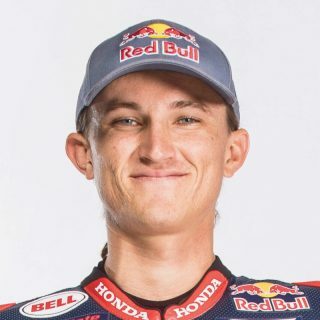 It was great to see Jake score his first top ten result this season, especially in front of his home fans, but on the other side Leon had to retire due to a technical issue so it was a bittersweet day for the team. Jake was really strong at the start of the race, overtaking a lot of riders and keeping a good pace throughout the race so we hope to build on this for tomorrow. For Leon, there’s some changes we need to make to unlock more potential on his CBR1000RR at the start of the race, so we’ll work hard to deliver this for Race 2 and aim to have both our riders finish in the top ten.